Cigarette smoke is said to contain around 4000 chemicals which may include hazardous conditions such as cyanide, lead as well as approx. 60 other carcinogens. When you continue smoking while you are pregnant the toxin gets into your bloodstreams which is the only source of oxygen to baby. Blood streams have also supplied nutrients to your babies’ body. It is obvious that none of these 4000 chemical substances present in your body is good for your baby but there are two particularly harmful chemical substances namely carbon monoxide and nicotine. These two harmful substances in the cigarette smoke are attributed to almost all cases of issues experienced during pregnancy. 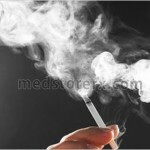 It does not need any explanation that smoking is generally hazardous to health. It leads to several extreme conditions that can lead to life threatening conditions. 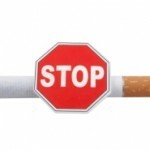 It is recorded that smoking is one of the leading causes of serious cancer and death. Smoking can lead to conditions such as stillbirth, premature delivery and insufficient or low birth weight. These conditions can also be attributed to the two aforementioned chemical substances which reduce the supply of oxygen to your baby. Nicotine is known to choke the oxygen by narrowing blood vessels in your body including those which are there in your umbilical cord. 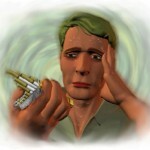 It is similar to choking your baby or forcing it to breathe through a narrow straw. The worse thing is that that RBC or Red Blood Cells start to pick carbon monoxide. This further decreases the supply of oxygen in your body. Since there are so many health risks for your baby associated with smoking during pregnancy, it is crucial that you should find ways to quit smoking and follow healthy measures to have a healthy pregnancy and baby. It is studied that smoking regularly while you are pregnant will cause your baby to be born with half pound less during the birth. The more you smoke the worse is your child’s health; even one smoke a day can cause serious issues in your baby’s health. Some women may find it beneficial to have smaller babies during delivery but in fact this can be hazardous to your baby and your baby may be born deformed. Undersize babies usually have underdeveloped body. Their body may not be all set to be independent; especially their lungs may not be completely developed to work on their own. This means that they may have to be attached to the respirator during the initial few days or weeks. In some cases such babies may also have breathing problem continued even after they start breathing on their own. Babies whose mothers’ smoked during pregnancy are often susceptible to developing asthma and may also have an increased risk of SIDS or Sudden Infant Death Syndromes. A mother who smoked during the first trimester while pregnant may have babies with a heart defect. Smoking during the first trimester may increase your baby’s risk of developing heart defects by 20 to 70 percent.